RedSafe Nucleic Acid Staining Solution is a new and safe alternative to the traditional ethidium bromide(EtBr) stain for detecting DNA and RNA in agarose gels. With uniform wall thickness; white enamel, double-graduated metric scale; and a marking spot, the beakers can be heated and used with acids, salt solutions, and organic solvents. RedSafe is just as sensitive as EtBr and the staining protocol is also very similar, however, compared to EtBr, which is known as a strong mutagen, RedSafe causes much fewer mutations in the Ames test. 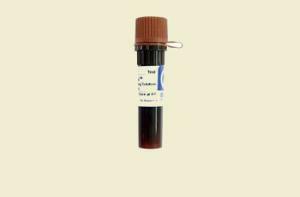 In addition, it has a negative result in mouse marrow chromophilous erythrocyte micronucleus test and mouse spermary spermatocyte chromosomal aberration test. Most importantly, it is not considered hazardous waste, can be disposed of according to standard laboratories procedures, and is stable for years.